Taking care of the family leaves very little time for me to take care of myself. Even though I did not have any medical issues, however, being overweight was sort of inconvenience as it made me lethargic. Juggling between family life and work I hardly used to find time to follow a routine lifestyle for myself. I always gave preference to the routine of my kids and husband and did neglect my own diet and routine. My weight had crossed permissible limits and this kind of weight for a middle aged who has a height which is 5.1 (considered below average) was alarming. 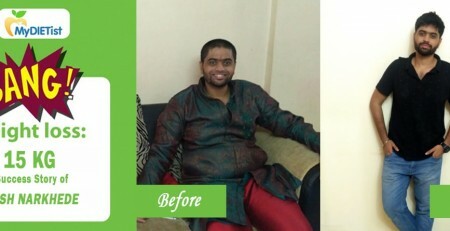 I realized that if I did ignore this and if my weight increases the way it is increasing right now I might soon reach a stage when I won’t be able to reduce my weight easily. It was high time that I did something about this. 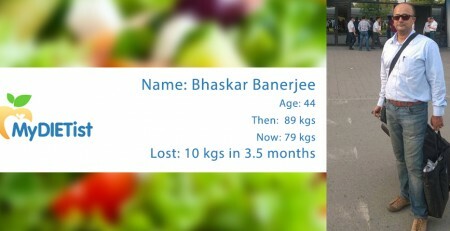 I knew that taking a proper diet and if I did exercise regularly I would be able to reduce my weight and live a more energetic and active life. Also, just at the age of 41, my skin started to get wrinkles and my hair fall had increased. These were the signs of aging, ever since the days of my adolescence I was known as a good looking woman and I used to get compliments for my looks. I had noticed that all the compliments and the attention that used to get were reduced. 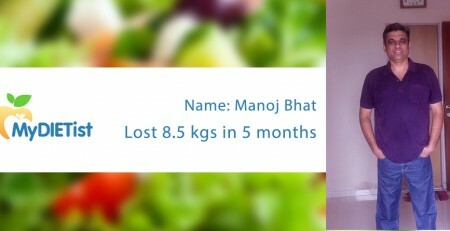 I did not have much knowledge about nutrition and neither did I know a good nutritionist in my locality who would help me with this. I looked up to one my friend who was well in shape and was at her peaks of fitness even at the age of 40. 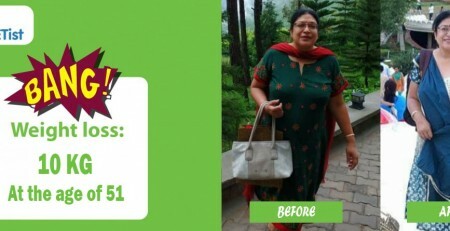 She revealed that she has been following the diet plan provided by Mydietist and that was the secret of all the zeal in her life. At first I thought that this might be very demanding and exhausting, however, she told me that having proper and regular dietary patterns in itself can show a significant reduction in the weight when combined with proper light exercise. 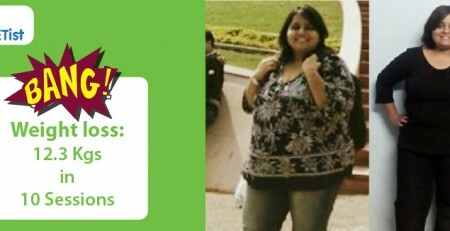 I was astonished to see the results as I had managed to reduce 8 Kgs in the first few weeks of practice. 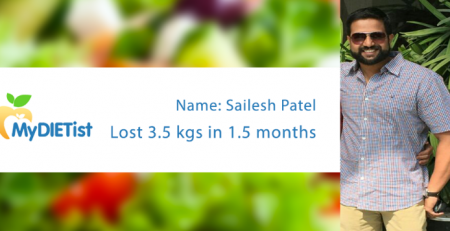 Having my diet plan and the tips handy via the mobile app helped me a lot to monitor the weight loss. 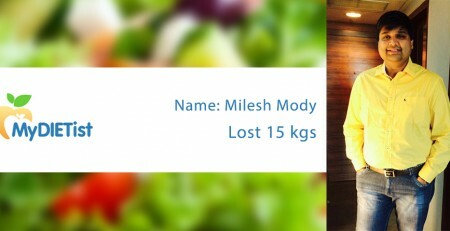 Mydietist has actually figured out a way to keep you motivated throughout the journey towards fitness and that is their USP. Providing a diet plan is one thing and providing a diet plan which gives you the freedom by fitting into your day to day schedule was amazing. Now I know a lot about the different nutrients in different foods which are not only helping me but is helping my family as well. 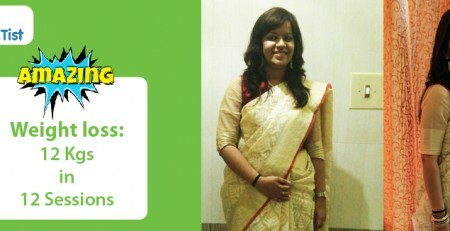 My lifestyle has improved and I feel more energetic and enthusiastic. I would suggest Mydietist to every woman and urge her to take care of herself which in turn would benefit the generation ahead.